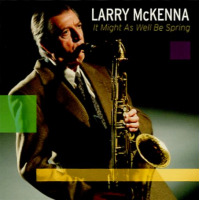 One of the world’s finest jazz saxophone players, Larry McKenna is known for his gorgeous tenor saxophone sound, the beauty of his balladry, and his fluid, bebop-inspired improvisations. 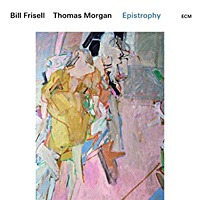 After six decades in his profession, his international reputation as both a masterful jazz improviser and educator is firmly established. 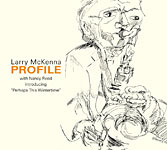 Over the years, Larry has performed and recorded with many jazz stars including Woody Herman, Clark Terry, Buddy DeFranco, Barry Harris, Tony Bennett, Rosemary Clooney, Jimmy Heath, Jon Faddis, Harry Allen, Terell Stafford, Eric Alexander, Bill Charlap, Warren Vaché, Kenny Barron, Randy Brecker, Wynton Marsalis and Frank Sinatra. 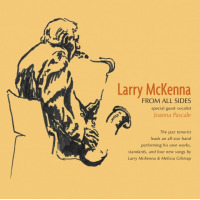 Larry McKenna’s composing, songwriting and arranging skills received critical acclaim with the 2013 release of his CD, “From All Sides,” supported in part by a Subito Grant from the American Composers Forum. 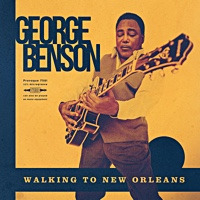 Among other originals, this CD introduced his popular bossa nova “One Falling Tree” with lyrics by Melissa Gilstrap sung by Joanna Pascale, voted the number two song of the year out of 100 by listeners of WRTI 90.1 FM Philadelphia in 2013. 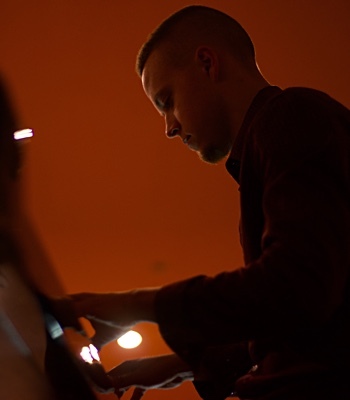 Larry’s writing and arranging skills are further showcased by the Larry McKenna Jazz Orchestra, a 17-piece band dedicated to presenting Larry’s original compositions and arrangements. In 2018, the Larry McKenna Jazz Orchestra was invited by WRTI to film a live performance in the radio station’s recording studio for the station's upcoming jazz video project. 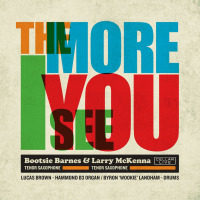 Recently Larry McKenna partnered with longtime friend and fellow Philadelphia tenor player, Robert Bootsie Barnes, to release their CD, The More I See You (Cellar Live 2018). 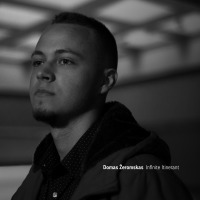 This critically-acclaimed CD placed on national jazz charts for several weeks, and WRTI selected it as Jazz Album of the Week in November 2018. In addition to being a frequent guest on recordings by other top jazz players, Larry has released three other CDs under his own name to critical acclaim. “Profile” (Dreambox Media 2009) mixes jazz standards with Larry’s original compositions, including the poignant ballad “Perhaps This Wintertime” with lyrics by Melissa Gilstrap. 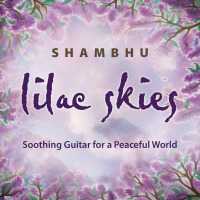 Premiered on the CD by vocalist Nancy Reed, this ballad was critically praised as “destined to become a new standard” and subsequently performed and/or recorded by other internationally known vocalists, including Denise King, Mary Ellen Desmond and Jackie Ryan. 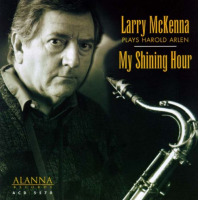 Larry’s earlier CDs, “It Might As Well Be Spring” (Dreambox Media 2001) and “My Shining Hour – Music of Harold Arlen” (EPE Records 1995), received praise from jazz critics across the United States and Canada. 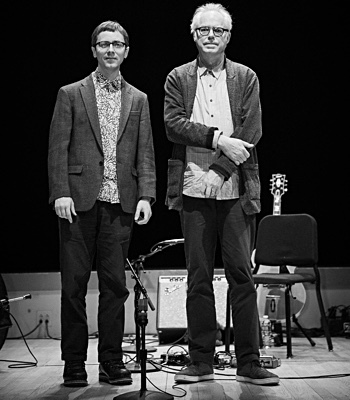 Recent performance highlights include Larry McKenna’s 2018 and 2015 “Barry & Larry” concerts with the legendary pianist Barry Harris at William Paterson University in New Jersey. In 2018 and 2014 Larry appeared with the Woody Herman Tribute Band in Los Angeles, including in 2018 a special quintet performance with trumpeter Bobby Shew. 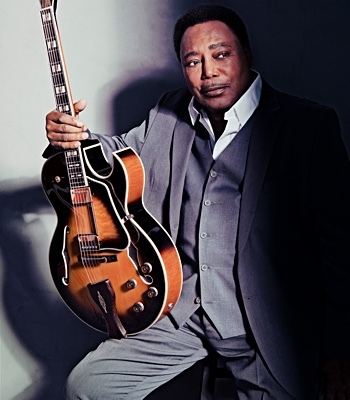 Larry was also a featured soloist in two concerts in 2014 with The Jazz Orchestra of Philadelphia under the direction of Terell Stafford, together with jazz greats Wynton Marsalis, Jimmy Heath, Kenny Barron, and Randy Brecker. In 2011 the world-renowned Philadelphia Orchestra showcased Larry as a soloist, performing movements from an orchestral arrangement of Duke Ellington’s “Nutcracker Suite.” Larry is one of the most sought-out saxophone and jazz theory teachers in Philadelphia. He has taught countless students at University of the Arts, Temple University School of Music, West Chester University, Widener University, and Community College of Philadelphia. In recognition of his extensive contributions to the jazz world, in 2015 Larry McKenna along with Pat Martino received a Jazz Legend Award from the Philadelphia Clef Club. Larry has been honored with a Lifetime Achievement Award in jazz performance and education from the University of the Arts; the Jazz Master Award from the Media, Pennsylvania Business Authority; and the Making A Difference Award from The Jazz Bridge Project. 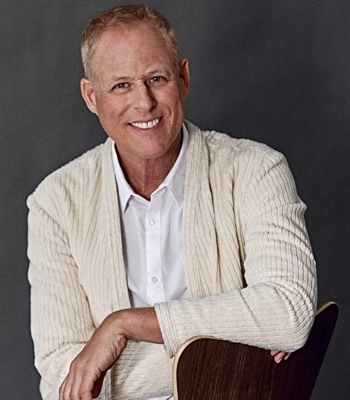 Music arranged by Larry McKenna has been performed on “The Tonight Show” with Johnny Carson and in the Nicolas Cage movie “Birdy,” in which Larry played and appeared. He has published many jazz arrangements for school bands which can be purchased from Northeastern Music Publications. Saxophonist Larry McKenna In Old City Phila. On Thurs. Jan. 17th! All About Jazz musician pages are maintained by musicians, publicists and trusted members like you. Interested? Tell us why you would like to improve the Larry McKenna musician page.